Antler are a British company created in 1914 who are trusted for high quality and well-designed luggage and travel accessories. They are constantly challenging and pushing the boundaries of technical innovation whilst maintaining their unique British sense of style. 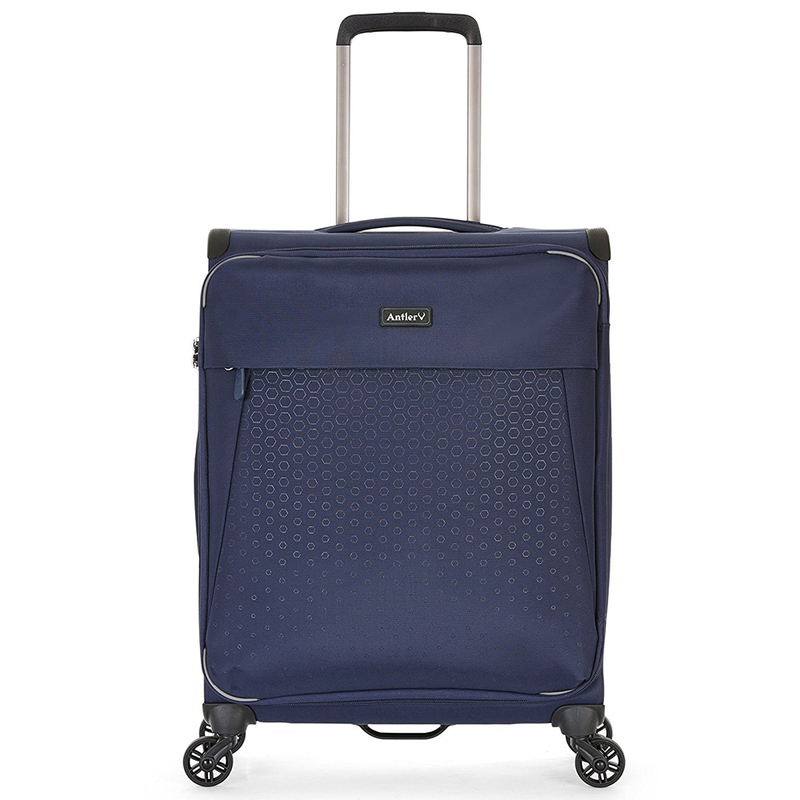 The 4W Small Blue Roller Case from the Oxygen range is lightweight with reinforced corners and a fully lined interior so your possessions will never arrive damaged. With top and side padded carry handles and an extendable trolley handle, you can travel by land, air or sea with ease. The main compartment of the bag includes a TSA approved combination lock for all your valuables and there is a handy front compartment for a laptop. The lightest is its class with a super-strong frame structure and with rip resistant fabric you can rest on a long flight with peace of mind. Top and side padded carry handles and extendable trolley handle. Reinforced corners and fully lined interior. Main compartment has a zip mesh divider within lid. Bag has 4 spinner wheels. In-built TSA security combination lock. While travelling in America only, airport security staff can open the lock without needing to know your code or breaking the lock, in case they need to check your bags contents.